1-50 Minute (Phone) Life Coaching Session with A.J. 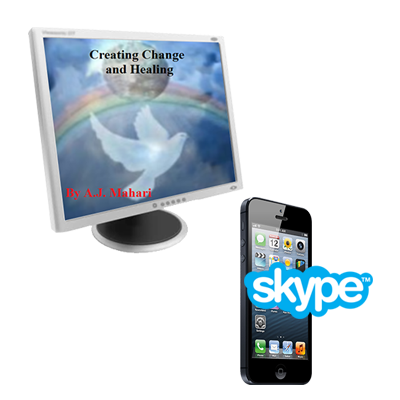 Mahari along with Mahari’s 6 ebooks for Non Borderlines Ebook Bundle. 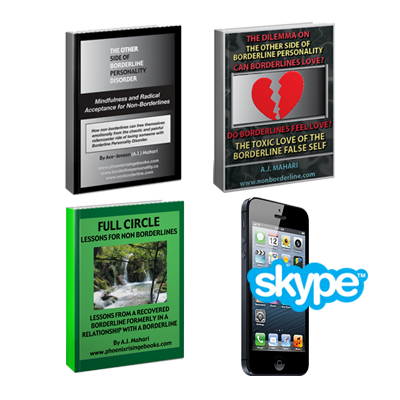 This purchase bundle is for those who are Non Borderline. 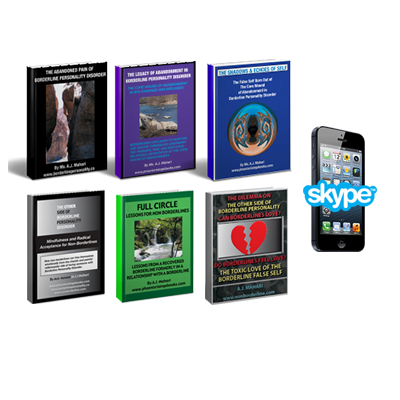 All 6 ebooks provide an indepth examination, exploration, and explanation of Borderline Personality from the inside out with a focus on Borderline Personality Disorder examined and explained and also with a focus on the issues of those who are family members, loved ones, ex or relationship partners of someone with BPD – non borderlines. 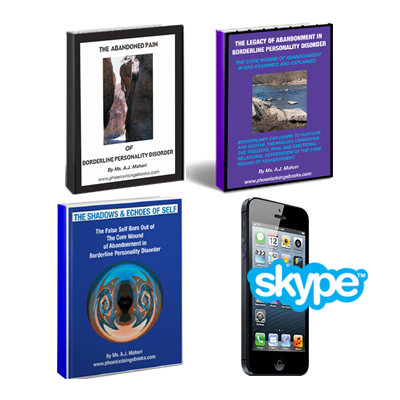 You can read a brief summary of each ebook by scrolling down the page. “The Abandoned Pain of Borderline Personality Disorder – A.J. 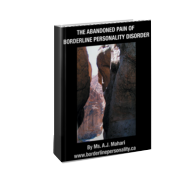 Mahari gives a detailed history of how and why the abandoned pain of those with BPD keeps them stuck in the agonizing and seemingly mystifying suffering of BPD. Mahari examines the reality that, for those diagnosed with BPD, the abandonment of one’s own pain is the result of the distorted belief that it must be escaped at all costs. Outling that those who go on to develop BPD had to initially abandon their pain in order to actually survive psychologically, albeit in fragmented pieces. However, in adulthood those with BPD must now welcome back in this abandoned and dissociated pain in order to integrate the fragments of self. It is these fragments of self and the loss of one’s authentic self that leaves those with BPD without a known identity or stable sense of a known self. Being held at bay, dissociated from one’s own authentic self by this abandoned borderline pain is what keeps those with BPD so stuck in untold profound suffering, isolation, learned helplessness, and alienated loneliness. 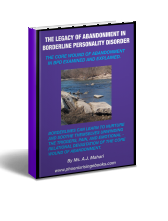 This ebook presents a thorough examination and explanation of the core wound of abandonment in BPD exploring various aspects of what A.J. has termed the “core wound of abandonment” that she identified in her journey of recovery as the wound that is central to what BPD actually is and how and why it persists. Mahari examines what she calls “the core wound of abandonment” as one who has been there, as a woman who had BPD and has recovered. 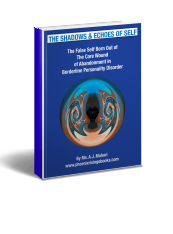 The Shadows and Echoes of Self is a 127 pages providing an in-depth and revealing examination of the false self personality organization of Borderline Personality Disorder that arises out of the core wound of abandonment. Included is a comprehensive look at the similarities and differences between Borderline Personality Disorder (BPD) and Narcissistic Personality Disorder (NPD). A.J. Mahari delves into the subject of cultural narcissism as a backdrop for the narcissism housed within BPD exploring the reality that narcissism is not just a stalwart of NPD. Mahari explores various archetypes and myths aimed at increasing the readers understanding of narcissism in a cultural context. * The Dilemma On The Other Side of BPD – Can Borderlines Love? Do Borderlines Feel Love? 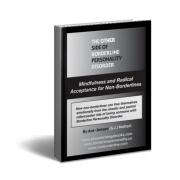 This ebook is 101 pages of must-read insight for the non borderline. 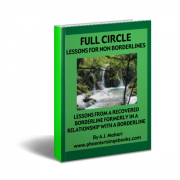 If you are in a relationship with someone with Borderline Personality Disorder, significant other, friend, relative, you will want to read what A.J. 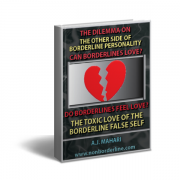 Mahari reveals about Borderline Personality Disorder and love.